It’s very true that waxed canvas is most often associated with outdoors and heavy-duty equipment. With that said, the phrase “women’s waxed canvas bag” may seem a bit incongruous. But for those of us familiar with the possibilities the material offers, and especially how the Builford brand uses it, won’t find any surprises. Let’s start with an example, if you’ll permit. From the Builford collection, which includes waxed rucksacks, cross bags, backpacks, and more, we offer the May Vintage Tote Bag up for consideration. The May Vintage Tote Bag is a blend of waxed canvas and leather, with metal zippers and brass accents. It has long carrying handles that you can easily slip over your shoulder. In case you don’t feel like using it as a shoulder bag, it can also be a cross bag — just attach the removable, adjustable strap. But it’s not just what a bag is made of, is it? We like that the Builford women’s waxed canvas bags are waterproof and durable, sure. But it’s also about the design. The May Vintage Tote Bag has an impeccable design combing function and fashion. It’s not fully minimalist, with the leather cross accent and twin zippered pockets on the front. But these extras don’t seem unnecessary or outlandish, just an integral part of the bag. It’s getting close to the holiday season (yes, we know you know, everyone knows, and if you’re like many people, you’re sick and tired of it). But hey, here’s a bag to use for your shopping, and then gift to a good friend. Honestly, waxed canvas is so tough, she’ll never know the difference. That, or gift it to yourself! 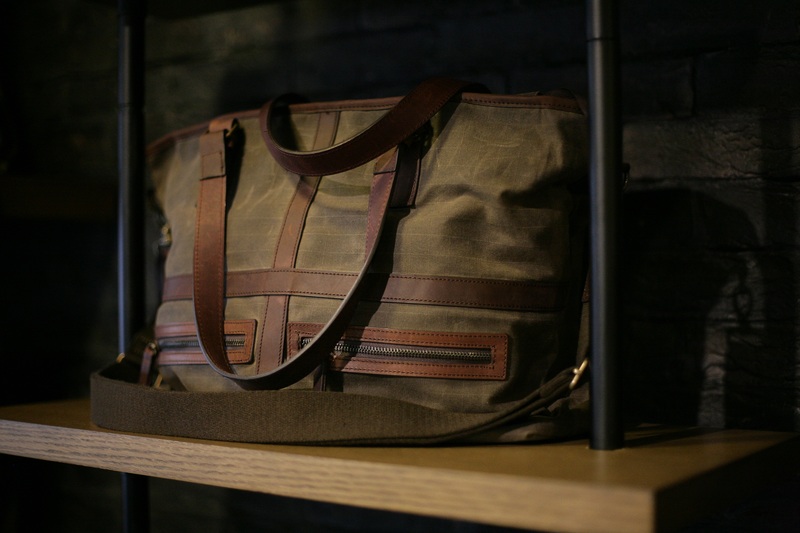 To find out more and check out Builford’s full collection, including other great women’s waxed canvas bags, go to www.builford.com! Share the post "Luxury Vintage Women’s Waxed Canvas Bags"
Posted in Blog and tagged builford bags, Builford waxed canvas bags, waxed bags, waxed canvas, waxed canvas bags, women's waxed canvas bags, womens bags. Bookmark the permalink.